Allie Nicole is a new country artist singer/songwriter. She's got glitter and glam and a down home spirit. She has passion in her voice. Her lyrics are heart-felt from real life. 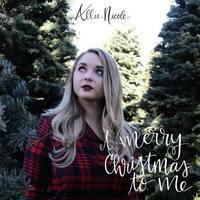 In the last year she released her first published original music The Whiskey EP and a holiday song A Merry Christmas To Me.